One Health, One Medicine: An Ecosystem Approach was a five-week public health MOOC offered by Dr. Satesh Bidaisee1 at St. George’s University, Grenada, in summer 2016. The course attracted 582 students from all over the world and was especially popular with students from the Caribbean, United States, and even Sub-Saharan Africa and Europe. Calculated in this way, the completion rate among participants was 53%, four times the rate in previous years. Of the 50 students who completed the survey, 98% rated their overall experience in the course as good or excellent. To the question “Would you be interested in pursuing a degree from St. Goerge’s University?”, 82% answered yes. Of this number, 30% preferred online courses, 16% preferred on-campus classes, and the remaining 36% had no preference either way. Dr. Satesh Bidaisee, St. George’s University, Grenada. ETC: How would you explain the high rate of completion for your MOOC? Bidaisee: The key factors were: (1) A user-friendly online course management system, SGUx, which is built on the EdX platform. (2) Accessible course team. (3) Interactions with students through live seminars, live office hours, discussion blogs, Twitter communication. (3) Case study reviews, peer-review evaluation of student-produced seminars. (4) Focused course topic and content on One Health, One Medicine. ETC: Was the course free or did you charge fees? Bidaisee: The course was free and open access. However, for students who decided to use their successful completion of the course requirements to obtain professional development credits from the U.S. National Board of Public Health Examiners (NBPHE), a 50 USD fee was charged together with a comprehensive exam. ETC: Did students earn college credits for the course that count toward a degree? Bidaisee: They earned 4 credits from the US NBPHE. These credits are not academic credits but rather professional development credits. The credits were obtained after passing the comprehensive exam and payment of the fee. ETC : Did you rely on video lectures? Bidaisee: The course included 6 hours of recorded content but also 8 hours of live seminars, 12 hours of live office hours, and various discussion blogs and twitter communications. ETC: Did you conduct live, interactive online sessions? Bidaisee: Yes, there were required live, interactive sessions that were very successful and served to build a learning community among the students and course team. ETC: Did students submit written work for evaluation? Bidaisee: Students submitted written case study reports for evaluation, which were evaluated by the instructor. Students also prepared their own seminar presentations as recorded video, which was peer-reviewed through a grading system on SGUx. ETC: Were students required to take tests and quizzes? Bidaisee: Yes, students completed quizzes at the end of each of the 8 modules in the course. ETC: Was participation in discussion forums required? Bidaisee: Participation in the discussion forums was required as it was graded. ETC: Were students required to purchase books or other materials? Bidaisee: All course-related materials/resources including reading materials were made available to the students at no cost. ETC: What are some problems that you need to work on to improve the course? ETC: What, in your opinion, are the keys to a successful MOOC? Bidaisee: A mix of synchronous and asynchronous activities with options for students to choose times that are convenient for them to interact with faculty and classmates. ETC: What are some of the obstacles to students earning international MOOC credits for their college programs? Bidaisee: Maintaining standards of academic quality across different institutions, including matriculation, baseline knowledge, assessment strategies and language, timezones and cultural idiosyncrasies of content delivery. ETC: What does it take to become a successful MOOC instructor? Bidaisee: Time, effort and support of instructional designers and education technologists who provide their expertise on online tools and applications that are relevant to academic content delivery. ETC: What are the critical differences between MOOC teaching and traditional classroom teaching? Bidaisee: MOOC teaching requires that the entire course be ready before the course begins, whereas in traditional classroom teaching we can develop the course along the way. MOOC teaching is considered less personal in terms of human to human exchanges. However, MOOCs provide tools that can allow for interactions. ETC: Was there a problem with cheating? Bidaisee: We used an online proctoring system for SGU’s MOOC and did not suspect any cheating in our assessments. ETC: Were all students who applied accepted into the program? ETC: What was the language of instruction? Bidaisee: English was the language used. It may have been limiting in terms of students who wanted to do the course but did not register due to language barrier. ETC: Was this an introductory or advanced course? Bidaisee: The most recent course was an intermediate course as there were previous introductory courses in One Health One Medicine. ETC: What is the future of MOOCs? Bidaisee: In the future, MOOCs may be adopted in standard credit programs in a modified form as it allows for access, equity, and availability especially for maintaining employment. MOOCs will increasingly be of value to college credit programs especially in a global economy. 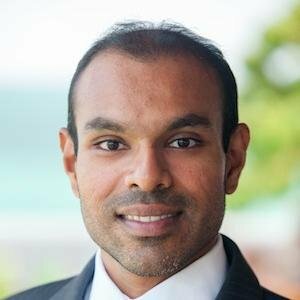 1 Dr. Satesh Bidaisee is an associate professor and the deputy chairman for the Department of Public Health and Preventive Medicine in the School of Medicine at St. George’s University, Grenada. As a research investigator, Dr. Bidaisee supports community-based participatory activities in the areas of zoonotic disease prevention and control, emerging infectious diseases, food safety and food security, and the pursuit of the One Health concept. Research projects include Chagas Disease prevention and control programs in South America, Abattoir design and development for the Eastern Caribbean, and reptile conservation programs in Grenada. Dr. Bidiasee holds degrees as Doctor of Veterinary Medicine (DVM) and Master of Science in Public Health (MSPH). Dr. Bidiasee is also a member of the Society of Biology (MSB), United States National Board of Public Health Examiners, Certified in Public Health (CPH), and a Fellow of the Royal Society of Public Health (FRSPH). Dr. Bidaisee also holds memberships to the International Society on Infectious Diseases, Food and Agriculture Organization, Veterinary Public Health Global Network, and the American Public Health Association.